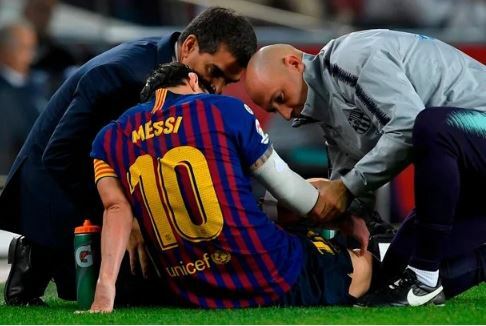 Barcelona talisman, Lionel Messi, is a doubt for Wednesday’s Copa del Rey’s semi-final against Real Madrid, after sustaining a thigh injury in the 2-2 draw with Valencia on Saturday. However, it was not without cost as he needed treatment for what appeared to be a dead leg shortly after equalising. Manager Ernesto Valverde does not know if he will recover in time for the fixture. “(Messi) has a small problem. I can’t say exactly what problem he has, I don’t know,’ he told a press conference after the match.